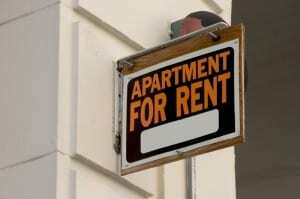 Mold in rental units, Who is responsible Landlord or Tenant? When tenants find mold or mildew in their rental units, they tend to point a finger at their landlord. Many will file complaints with the local building inspector, and a few will even file lawsuits. At the same time, many landlords are frustrated that they treated the mold problem, only to have it come back again. In reality, some tenants, in their haste to blame their landlords, don’t realize they are the ones perpetuating the problem. Dirt and grime in the apartment create a habitat for mold. Using inexpensive household cleaners that have bleach or lime can kill mildew and prevent it from spreading — but these cleaners must be used regularly. Air circulation is crucial for preventing mold and mildew. Avoid placing furniture near air vents. Open windows and air the place out regularly. Mold can’t grow in sunlight, but will thrive in the dark. Expose closed areas like closets to sunlight whenever possible. Any water leaks are a problem. Tenants should report leaks as soon as possible so that water doesn’t seep into drywall or wood within the structure of the house. The same is true for carpets. Keep clothing and other items that may retain moisture away from walls and flooring. Crack open the bathroom window after a shower — or use the exhaust fan to draw humidity out of the bathroom. If you have to deal with a mold problem in your rentals, ask your inspector if the tenant’s lifestyle could be fueling the infestation. With a little cooperation from your tenants, you may be able to keep this pesky problem from eating up your profits.